Albert Einstein was a great physicist and mathematician born on 14th March 1879 in the Kingdom of Württemberg, Germany. His early education was from the ‘Catholic Elementary School’. Later he transferred to the ‘Luitpold Gymnasium’ where stayed to complete his studies till he was fifteen. When Einstein’s father lost his business of electrical equipment that worked on direct current to the innovation of the alternating current, the family decided to move to Milan and then to Pavia a few months later in search of business. 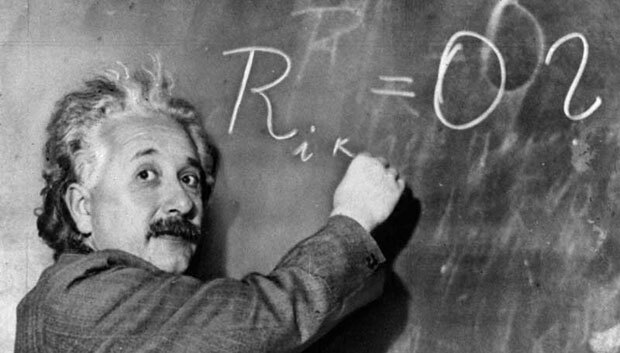 As Einstein grew older so did his mathematical talent. He began to show immense aptitude in the subject and his technical abilities were no less. Although his father encouraged him for electrical engineering, Einstein rebelled with the school authorities against its system of rote learning. Finally unable to understand the way of learning in the Gymnasium, Einstein returned to his family in Italy where he wrote his very first short essay called ‘On the Investigation if the State of the Ether in a magnetic Field’. At 16, he gave the entrance exams for the Swiss Federal Polytechnic in Zurich. He performed exceptionally well in mathematics and physics failing all the other subjects. He then went to Switzerland in 1895 to complete his secondary schooling. He passed the Swiss Matura with good grades especially in physics and mathematics with achieving a grade 6 on a scale from 1-6 with 6 being the highest grade. Einstein decided to enroll in a diploma teaching program at the Zurich Polytechnic. Einstein struggled to get a job after his graduation, finally securing a post as ‘assistant examiner’ at the Federal Office for Intellectual Property in Bern. There he initiated a small group named the ‘Olympia Academy’ who got together to discuss science and philosophy. Einstein did his PhD in 1905 with his dissertation being called ‘A New Determination of Molecular Dimensions’. This year was called Einstein’s ‘Miracle Year’ as he not only achieved a PhD but also published four groundbreaking papers on ‘photoelectric effect’, ‘Brownian motion’, ‘special relativity’ and the ‘equivalence of matter and energy’ which brought him fame throughout the scientific world as a leading scientist. He got the post of lecturer at the University of Bern in 1908 which he gave up for the position of physics docent at the University of Zurich. In 1911 he became a professor at Karl-Ferdinand University in Prague. On his return to Germany in 1914, Einstein was appointed the director of Kaiser Wilhelm Institute for Physics and a professor at the Humboldt University of Berlin. He was also a member of the Prussian Academy of Sciences and in 1916 the President of the German Physical Society. In 1921, he received the Nobel Prize for his contribution to Physics and the Copley Medal from the Royal Society in 1925. Along with his scientific talent he also enjoyed classical music and playing the violin. He was a man of extraordinary intelligence and brilliant scientific mind. He published hundreds of books and articles. His work on quantum physics and his ‘Manhattan Project’ proved to be of great significance to the US government. Einstein died on 18th April 1955 due to internal bleeding. He refused surgery saying: ‘I want to go when I want. It is tasteless to prolong life artificially. I have done my share, it is time to go. I will do it elegantly’. He died having given numerous important theories and concepts to the world that are being used to this date.